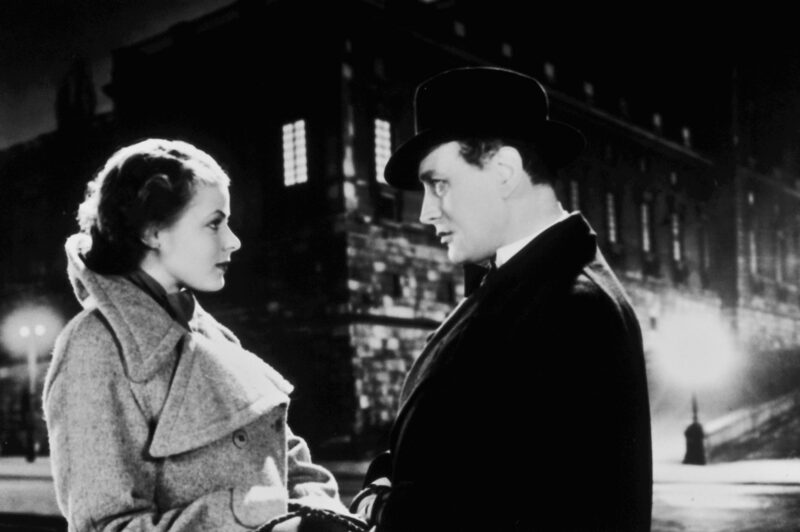 Intermezzo was Ingrid Bergman’s international breakthrough and the film that took her to Hollywood. 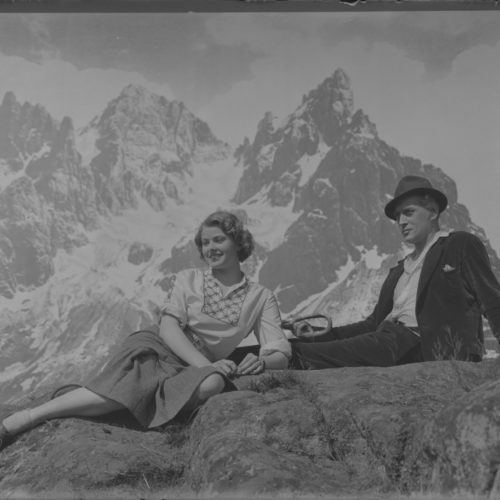 The films she’d previously made at SF Studios included The Count of Old Town (1935), Walpurgis Night (1935), and Swedenhielms (1935), the latter directed by Gustaf Molander. 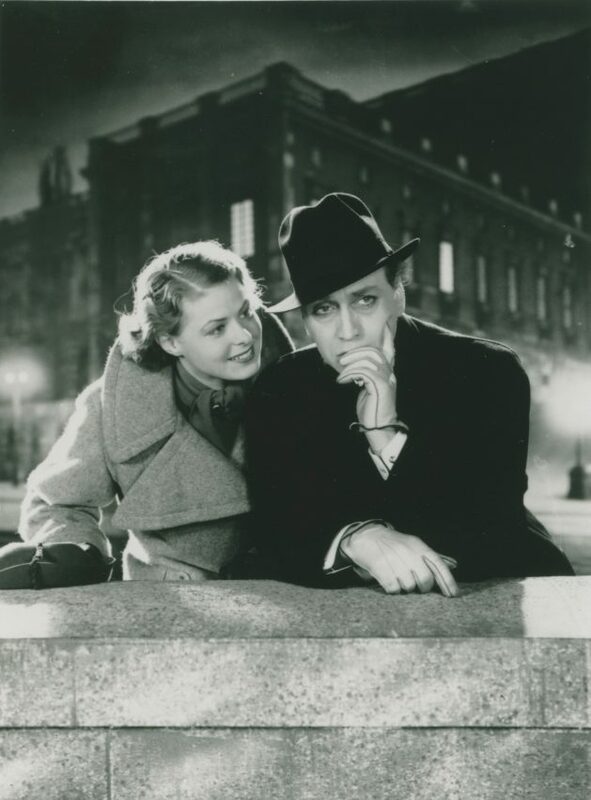 Molander was her most important director in the 1930s and wrote the screenplay for Intermezzo with Gösta Stevens. 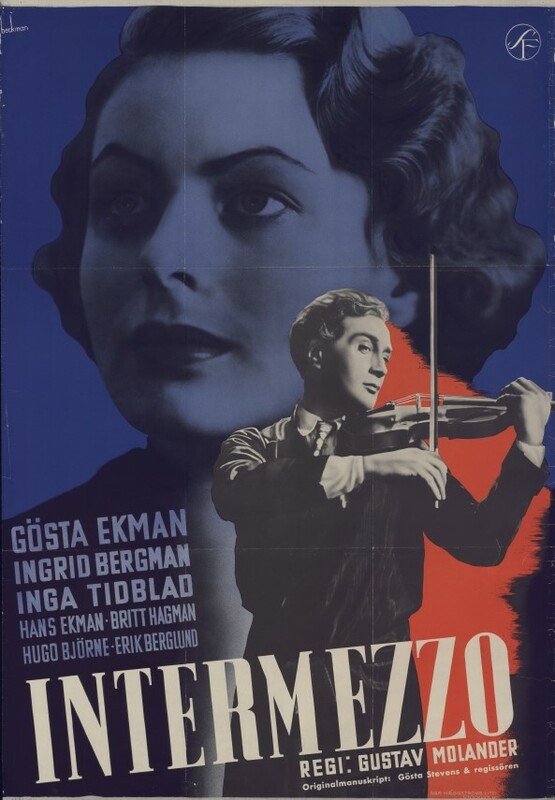 Bergman plays the role of a piano teacher, Anita Hoffman, alongside the legendary Gösta Ekman in the role of the virtuoso, Holger Brandt. 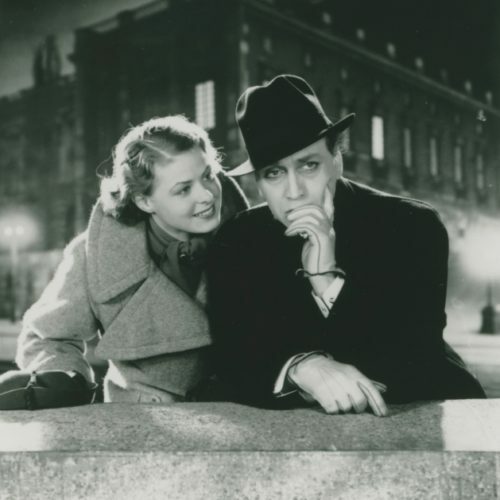 At that time, Ekman was one of the most celebrated Swedish actors and something of a national icon while Bergman was a rising star. 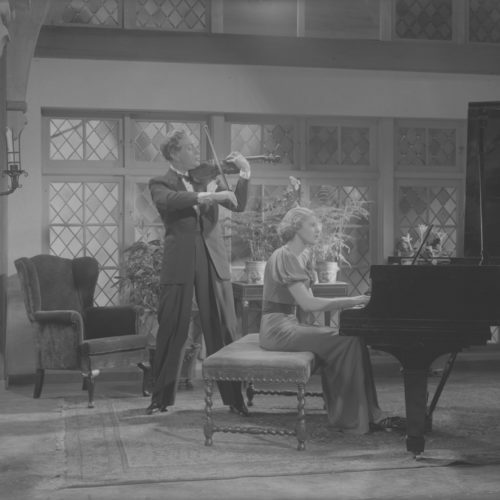 Certain scenes were identical to the Swedish film but this time Bergman acted op-posite Leslie Howard as the ageing violin virtuoso. Molander was already a legend at SF Studios. During his career (1917-1970) he created more than 60 films, among them Women of Paris (1928), One Night (1931), Songs of the Scarlet Flower (1956) and Stimulantia (1967). Intermezzo is considered one of his most personal works as he oversaw everything from the script to the final edit. 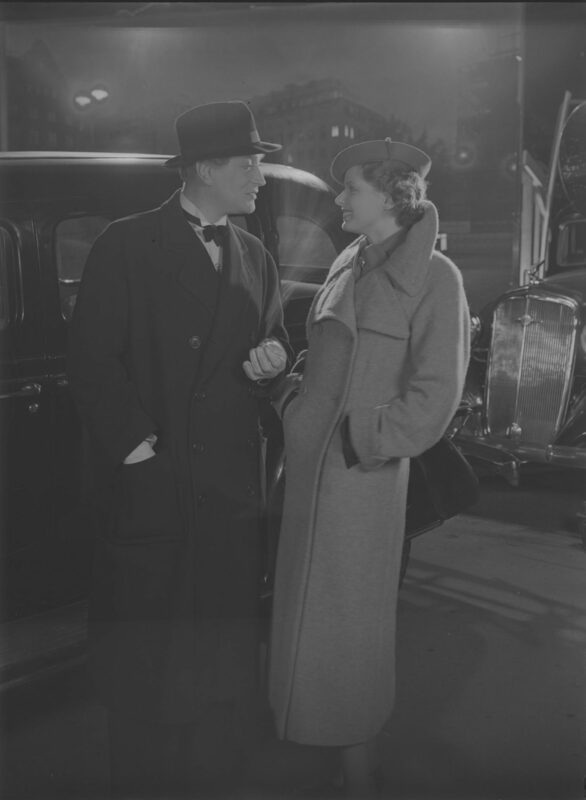 Following her appearance as Anita Hoffman, American producer David O. Selznick offered Bergman a contract, though it wasn’t the first contact between SF Studios and Hollywood. 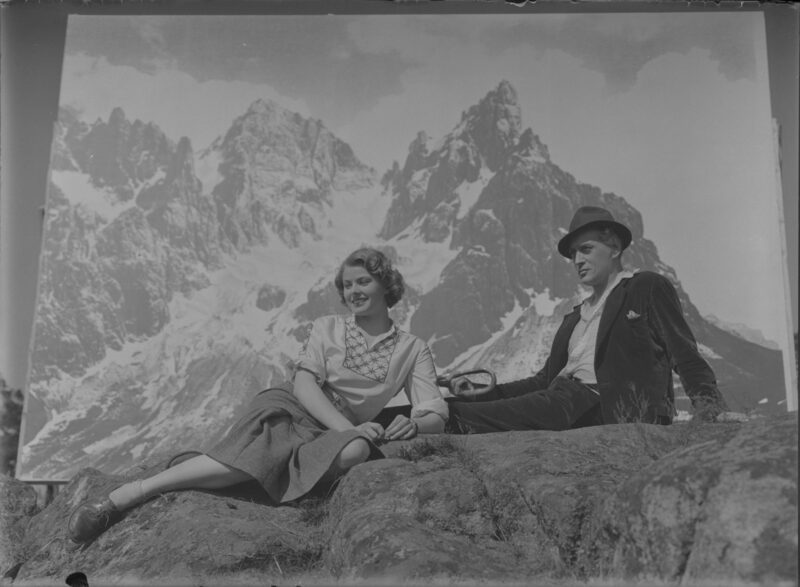 Greta Garbo had made the same journey a decade earlier. 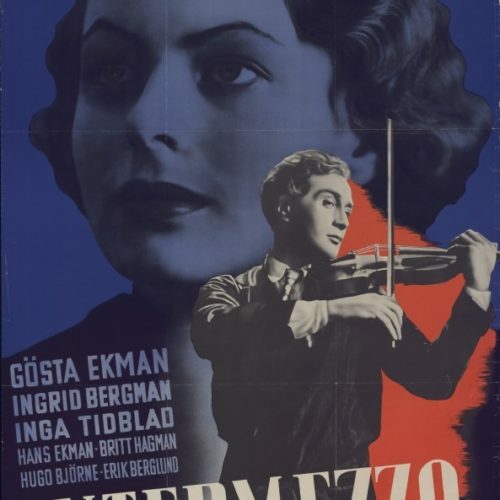 Three years after the Swedish premiere, director Gregory Ratoff made an American version of Intermezzo. 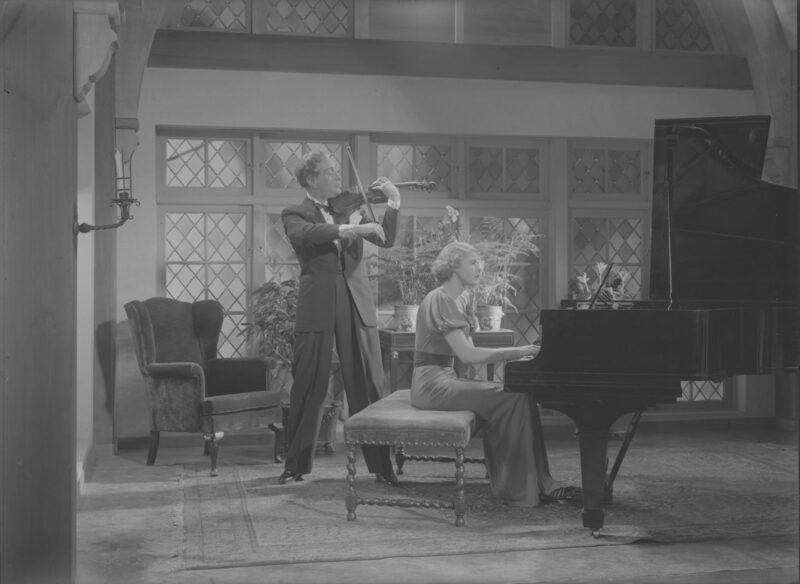 Certain scenes were identical to the Swedish film but this time Bergman acted op-posite Leslie Howard as the ageing violin virtuoso. Unlike Garbo, Bergman played a large variety of roles. During her career in the United States she depicted, among others, a piano teacher, a revolutionary heroine, the wife of a political oppo-nent, a psychologist, a secretary, a governess and a nun. 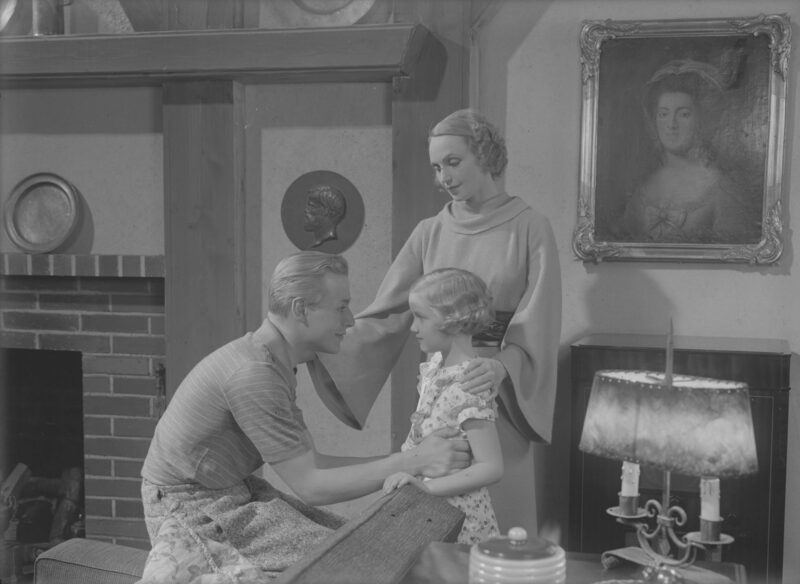 In the beginning she was often cele-brated for her naturalness, but she grew weary of virtuous family girl roles. 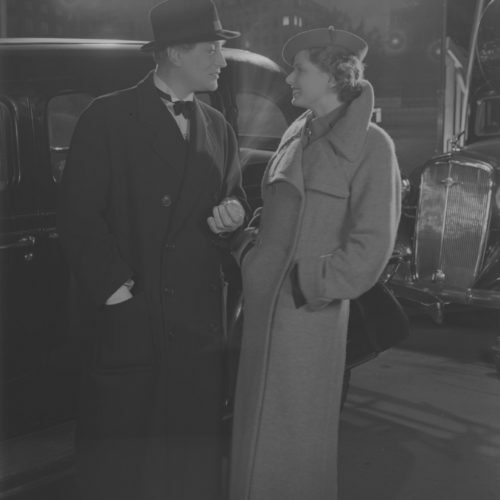 For instance, early in her Hollywood career she asked director Victor Fleming to cast her as a prostitute instead of Spencer Tracy’s fiancé in Dr. Jekyll and Mr. Hyde (1941). 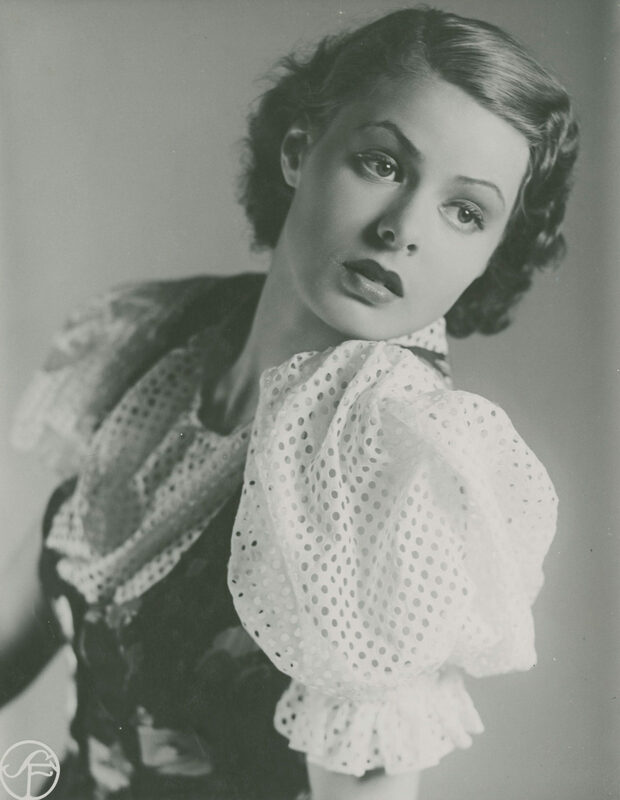 She played three leading roles for Alfred Hitchcock – in Spellbound (1945), Notorious (1946), and Under Capricorn, (1949) – but is best known for playing Ilsa Lund opposite Humphrey Bogart in Michael Curtiz’s Casablanca (1942) . 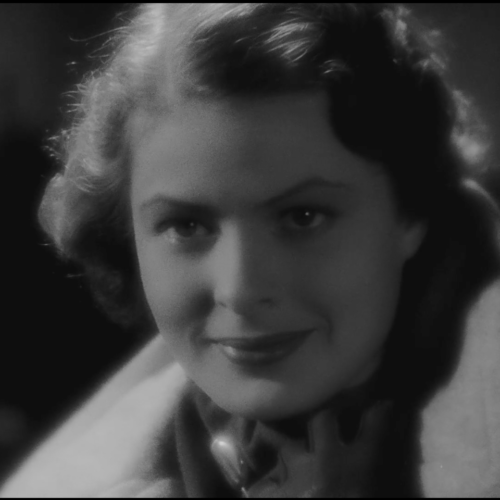 During her career, Ingrid Bergman won three Oscars. 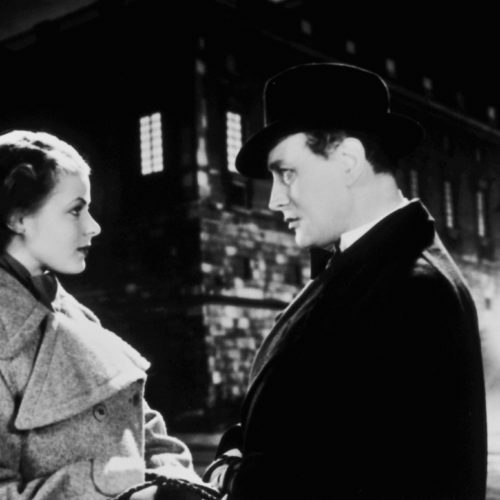 Two for Best Actress, in Gaslight (1945) and Anastasia (1957), and one for Best Supporting Actress as the Swedish missionary Miss Olsson in Murder on the Orient Express (1975). 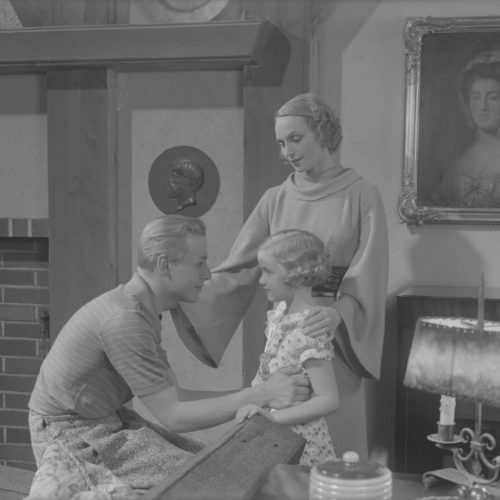 Despite this success the connection to SF Studios remained. In 1967 she returned to Råsunda and took part in one of the episodes of the short film Stimulantia.